There is a Premier Carpark in Starling Mall at Basement 1. You enter Basement 1 through North Entrance and Entrance B from Jalan SS21/37. 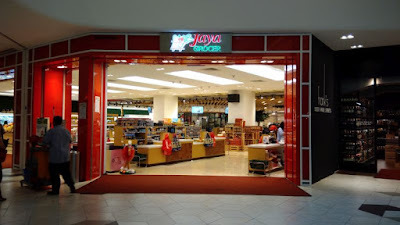 For more details to to this post Starling Mall Entrance B. As you enter to Basement 1 past the boom gate, you will pass Little Bubble Hut (Home Service), then turn right and as you go along you will get to the boom gate to enter Starling Mall Premier Carpark. Here at the boom gate, you will have to reinsert and pull out the parking ticket you obtained when you first enter Basement 1 boom gate. The boom gate will open when you pull out the ticket. 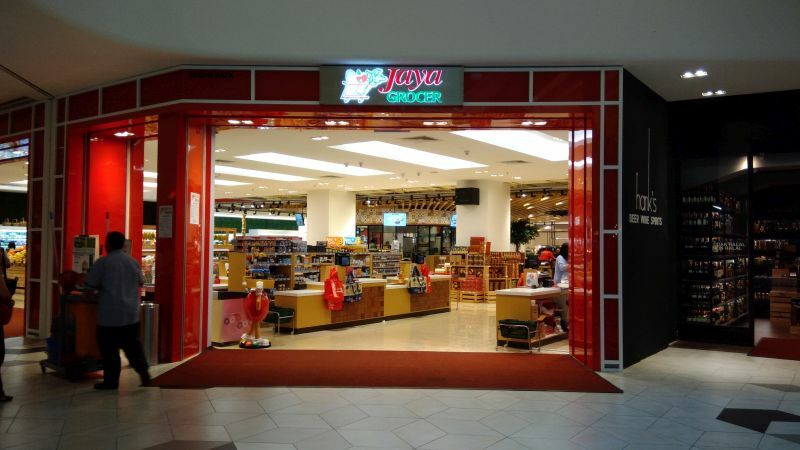 When you want to go out, there is a ticket booth near Jaya Grocer at Basement 1. Pay at the ticket booth. The cost is 1st 2 hours - RM5. Every subsequent hour - RM2 per hour. After paying, on exiting Premier Carpark, you will again have to insert and pull out the parking ticket and the boom gate will open. Don't forget to keep the parking ticket as you will need it again when you exit Starling Mall basement carparks. 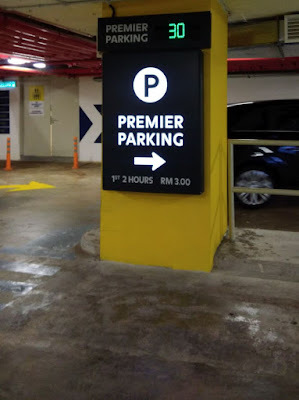 BTW if you are have HSBC Premier Banking, you can get the 1st 2 hours free at Premier Carpark. The ticket will need to be validated at HSBC Premier Banking at the mezzanine floor of HSBC Uptown.